Attention Beer Enthusiasts! Today is a super special day for you. As some of you know it’s International Beer Day. It’s time to go beer tasting by sampling the world’s best brews. I must confess that I’m not the biggest fan of beer, even as I’m writing this post I’m enjoying a glass of wine. But the truth of the matter is that as a world traveler, I do enjoy trying beer when I’m traveling. Since I’m all about experiencing the local culture, trying the best food and drinks of each country, sometimes I find it irresistible. 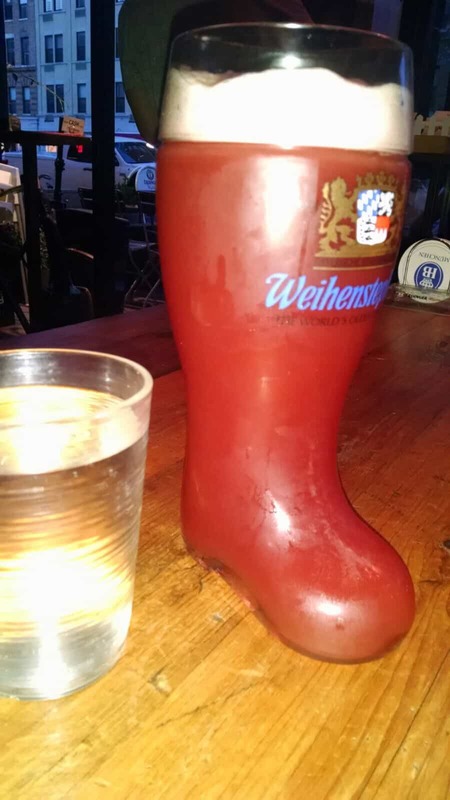 Just last year I celebrated this day by attending an International Beer Festival in Berlin, Germany! So, for this special occasion, I decided to partner with 33 travel bloggers to bring you an amazing list of the best beer they’ve ever had…considering they travel the world, this should be a very unique list at the very least. Or perhaps it becomes your next to do list. And, yes, I have also found some beers that I truly love. If you keep reading ’til the end, you will find out which are my favorite beers as well. For now, let’s get started! In the small town of Skagway Alaska, a town once known as the Gateway to the Klondike, people drink beer to survive. During the Klondike Gold Rush, the lack of vitamin C and citrus fruits led to scurvy for many of the sampeeders. Luckily, the first nations people showed them how to harvest vitamin C from the newly grown tips of the abundant Sitka spruce tree. These “spruce tips” don’t taste great straight off the tree (trust me, I’ve tried them), but when brewed into ale they provide a nice citrusy punch. Today, Skagway Brewing Company has whipped up some beers that give you a taste of Skagway’s history along with a nice buzz. So when you have a pint of Skagway Brew Co’s Spruce Tip Ale, you can rest assured that it’s for your health. Craft beer & strong IPAs might be ubiquitous now, but that wasn’t always the case. 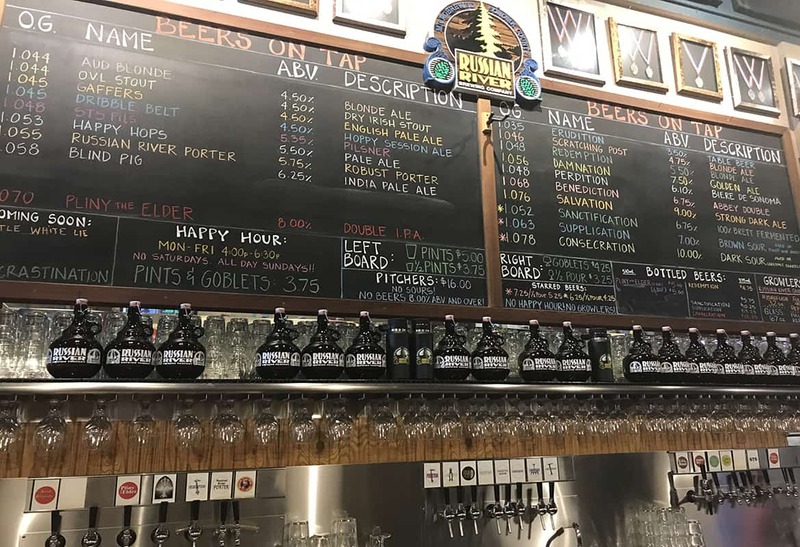 Russian River Brewing Company in Santa Rosa, California is one of the pioneers of these delicious IPAs. Their Pliny the Elder is a classic double IPA that has always topped the lists of the best beers in the world, and with good reason, as it is amazing. Each February, the city of Santa Rosa plays host to the annual release of Pliny the Younger, Russian River’s rare triple IPA. For two weeks, beer aficionados from all over the world visit Santa Rosa & wait in line for hours at Russian River. For some, spending an entire day just to try few glasses of a beer isn’t worth their time, but for others, the once-in-a-lifetime opportunity to get Pliny the Younger is worth the wait. Even if you can’t make the pilgrimage in February, Russian River has great beer & food all year long. The craft beer world has evolved to a point where everyone makes a good double IPA, but every beer fan should visit where they got their start in order to try these classics. I know as a travel blogger having traveled all over the world I should probably name some exotic beer in a mostly unknown corner of the globe as the best I’ve ever had but not this time. The best beer I’ve ever had was in my home country of the United States in Dallas, Texas at this really great restaurant called Full Circle Tavern. The beer, Blood & Honey, is made by the Revolver Brewing Company. What makes this unfiltered golden ale so flavorful is that it’s finished with the zest of blood oranges and a local Texas honey. It really is so delicious and the perfect summer beer when it’s served ice cold — a great way to beat the Texas heat! I’ve now visited almost sixty countries and had my fair share of beers in every country I visit but this one still stands out. I never really liked beer very much until I moved to the Florida Keys. They love their craft beers down in the Keys! My favourite local’s hangout in the middle Keys, Castaway Waterfront Restaurant, is a sushi bar and beer lovers paradise. 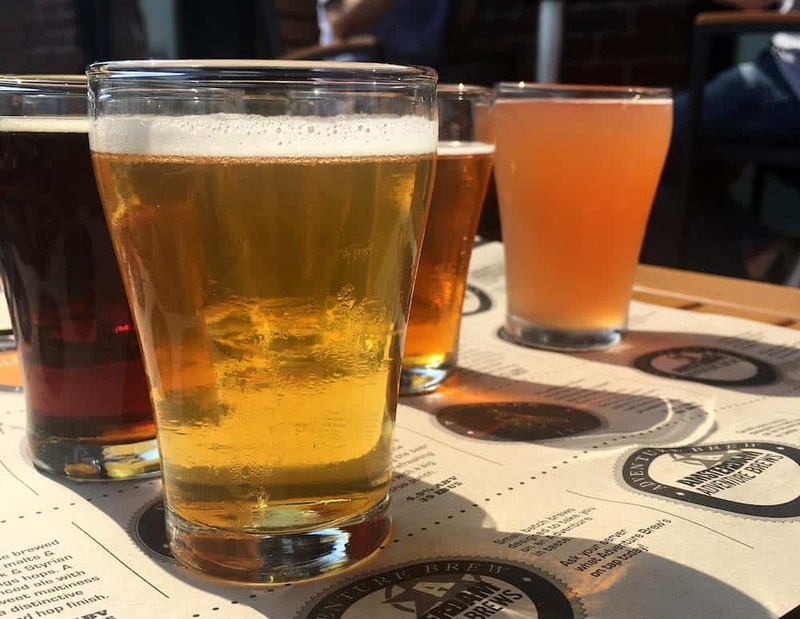 They have 52 beers on tap, ranging from locals brews to world beers, and they offer flights so you can sample many. I tried a limited edition imperial porter there called Last Buffalo in the Park by Funky Buddha and it was incredible!!! 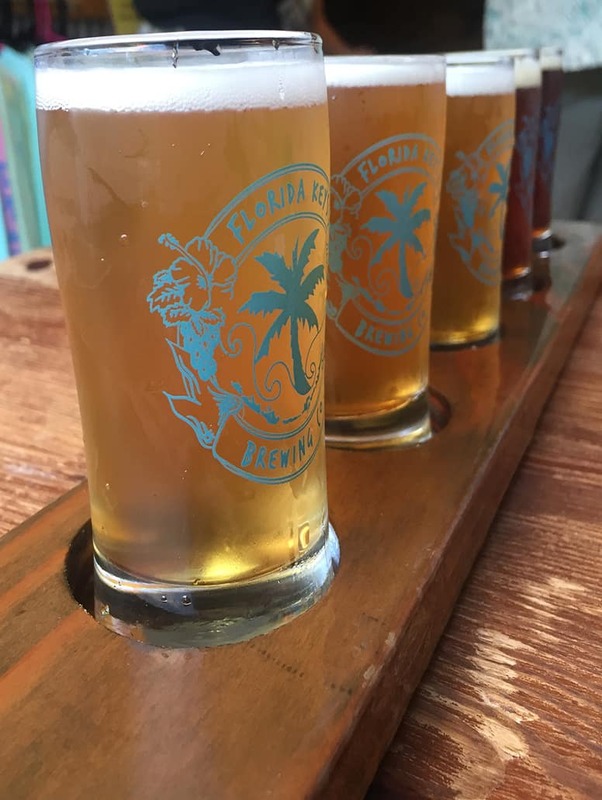 I also love a trip to the two breweries in Islamorada, where you can hang out, play games, and sample their own brews. I absolutely love a beer called Hurricane Hole from the Florida Keys Brewing Co, and you can’t visit the Keys without sampling a few beers from the Islamorada Beer Company, such as their key lime and coconut ale called No Wake Zone! Portland, Oregon (aka “Beervana”) is a craft beer lovers haven so it’s not surprising that one of my all time favorite brews hails from there. The beer is called Brotherly Love and it was born at the fun and friendly Commons Brewery at 7th and Belmont in downtown Portland. This area is a booming mecca for new craft breweries which are popping up monthly and it makes a great destination for a day of beer tasting. 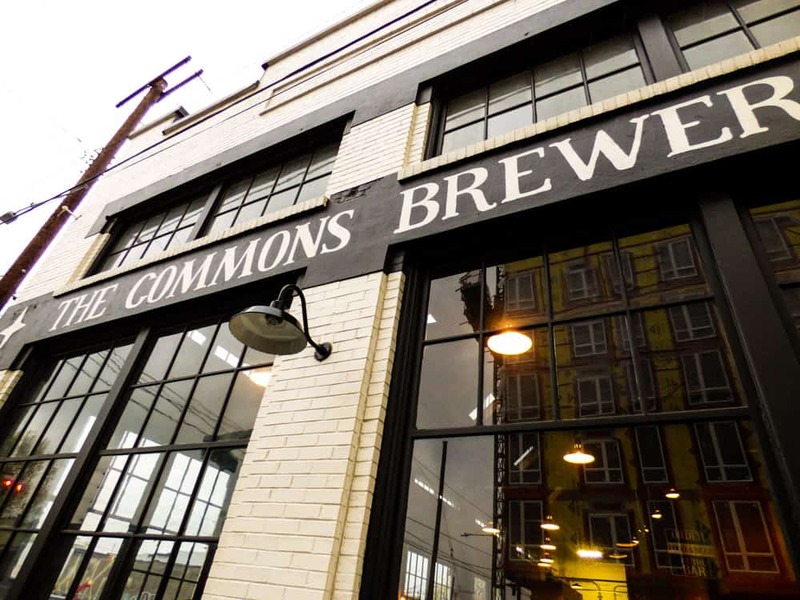 The Commons pours their brews from 12 taps and every February my favorite Brotherly Love is released. 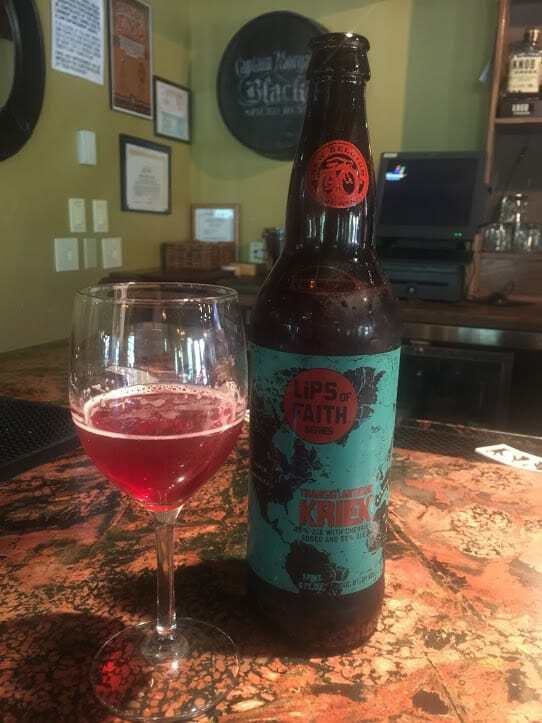 This delicious elixir is a Belgian Dark Strong Ale with a 10% ABV, aged in second-use Bourbon Barrels with Northwest grown sour cherries and Ecuadorian cacao nibs. The result is a decadent, smooth and rich taste of heaven with a devilish alcoholic kick that I can’t get enough of. 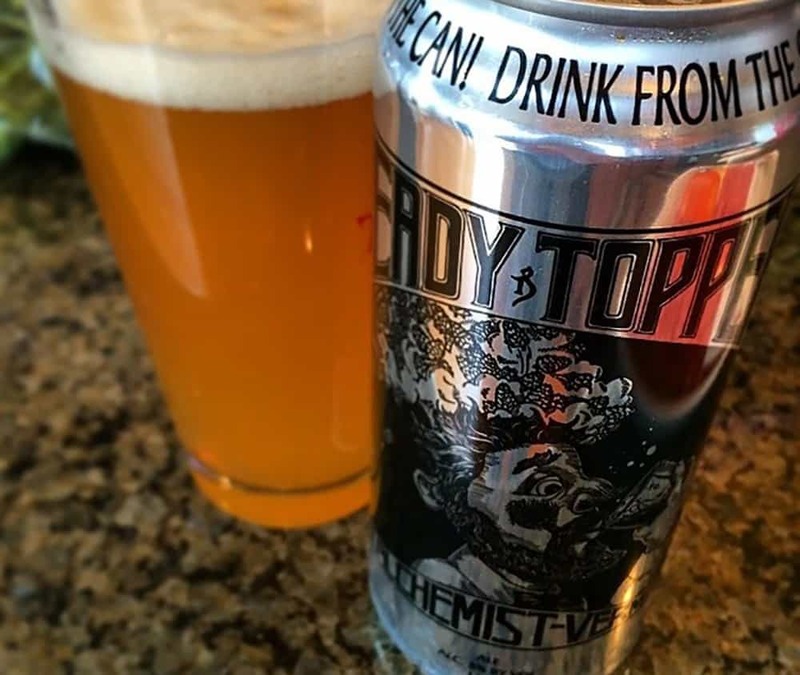 Heady Topper (America’s Most Loved Craft Beer) is a craft beer, from Stowe in Vermont in the New England states of the US. 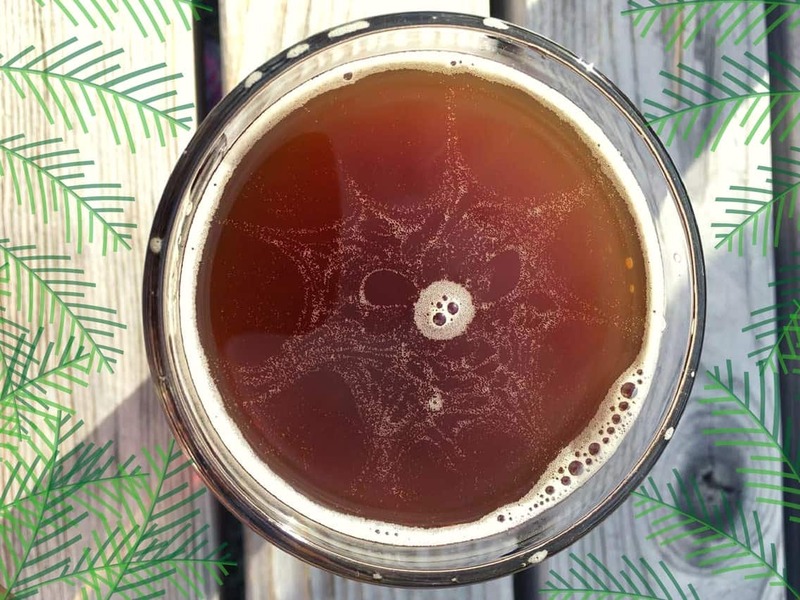 This American Double IPA craft beer has a cult following. The only way to get this limited edition beer is to know how to play the system. The truck leaves The Alchemist brewery where fanatics follow it into Stowe Vermont. The truck makes its first stop, then the people run in, queue up with all the other people and HOPE to get their one 4-pack…because that is all you are allowed to purchase. The Alchemist brewery makes only 45,600 16-ounce cans of the double India Pale Ale each week, and it is only distributed within a 20-mile radius of Waterbury, Vermont. They do not make a lot of the beer, and this makes the elusive beer a sought after treasure…and a treasure hunt to get it. My all-time favourite beer is one I first tried at the Whistler Beer Festival near Vancouver, Canada – Hoyne’s Dark Matter. The craft beer scene in Vancouver is booming and the annual Whistler beer festival is a marvelous showcase of the best local breweries. In its 5th year and spreading over five days now, the misty mountain backdrop is a perfect way to spend a day (or two!) sampling Vancouver’s best brews. This beer in particular was dark, malty, roasted but not bitter, not overly sweet and basically perfect. Originally from their brewery in Victoria, I’m so glad it made it across from the island and into my life – Dark Matter is a delectable treat. It’s officially a brown ale, but is as deep in colour as a porter, without the heaviness. It’s now my go-to beer and available in many of my favourite bars. If you visit British Columbia any time soon – you MUST try it! Heineken is my safe beer. I know that no matter where I am in the world, I will always enjoy a Heineken. That being said I do make a point of trying a local beer every time I’m in a new Country. A few weeks ago while entertaining another travel blogging friend of mine, we happened to stumble upon the best harbourfront restaurant here in Toronto called Amsterdam BrewHouse. The Amsterdam BrewHouse (Amsterdam Brewery) is the second busiest restaurant in Canada. They see over 1100 people at a time and on a busy Saturday, they can expect five to six thousand people through the doors. Amsterdam Brewery is the first craft brewery in Toronto and they’ve been brewing the Amsterdam Blonde Lager since day one for over 31 years. In addition, it recently won gold for North American Style Blonde or Golden Ale at the Canadian Brewing Awards. This award officially makes the Blonde the best lager in Canada. It’s easy to drink, very smooth, pairs with anything…and my new favourite beer. Throughout our travels, the best beer we ever had was Westvleteren 12, at Belgium’s Saint Sixtux brewery. Westvleteren 12, or Westy for short, has long been regarded as the best beer in the world by popular beer enthusiast sites. But Westy is not particularly easy to obtain. For us, that was part of its allure. 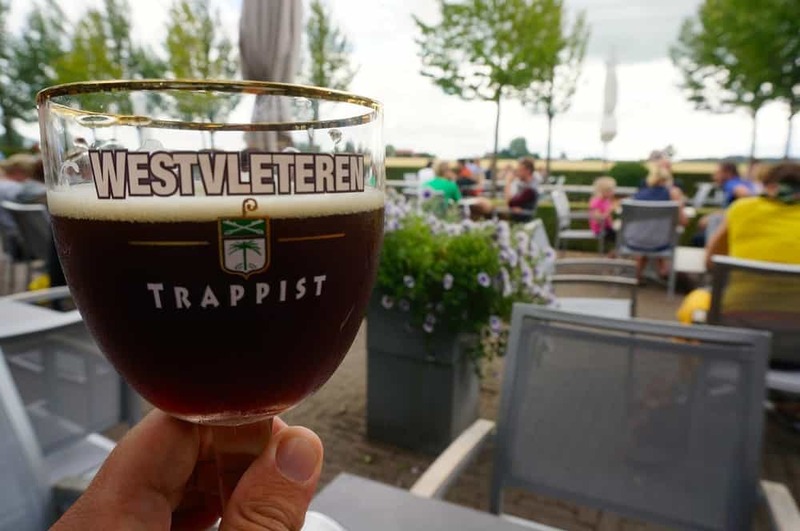 Westvleteren 12 is a Trappist ale brewed by monks in small quantities, only enough to support their monastery. They do not distribute the beer, so the only place you can rightfully purchase Westy is at the onsite brewery and the adjoining café. But the monastery is deep within the farmland and hop fields of Southern Belgium and we were without a car. So we rode the rails as far as we could and finally found some bikes to rent for a five-mile pedal in search of this elusive monastery. Finally, we had reached the esteemed Saint Sixtus Brewery. So was Westvleteren 12 really the best beer in the world? After putting in the effort to get to the monastery and then drinking these famed suds onsite, it tasted absolutely delicious! The beer was great, but the entire experience somehow made it taste even better. For us, it was the best! Westvleteren 12 is a Belgium style quadruple, a delicious velvety smooth dark beer with a complex series of flavors that all dance around your mouth. It boasts a high ABV of 10.2%, yet it is so easy to drink on the café’s sunny patio. After several chalices of this most tasty brew, it certainly makes for an interesting bike ride back to town! In Antwerp, any beer lover needs to go to Cafe Kulminator. 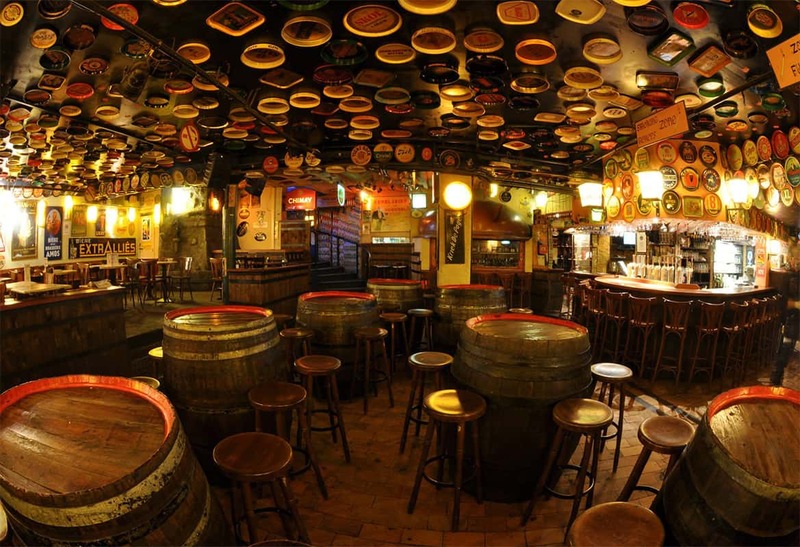 This beer bar was named the best beer bar in the world. Between the rare beers from the Trappist breweries that you can try (for almost every year), the classical music, and the awesome owners, I consider coming here one of the best things to do in Antwerp. My favorite is the St. Bernardus Wit as I’m not much one for dark beers (the 12 is famous!) It’s hoppy with a light coriander taste. Each time, I go to Kulminator, I always look for a new beer, so I’ve had quite a few new beers each time I come. Be sure to come early, so there’s time for them to go to the downstairs storage to retrieve rare beers. 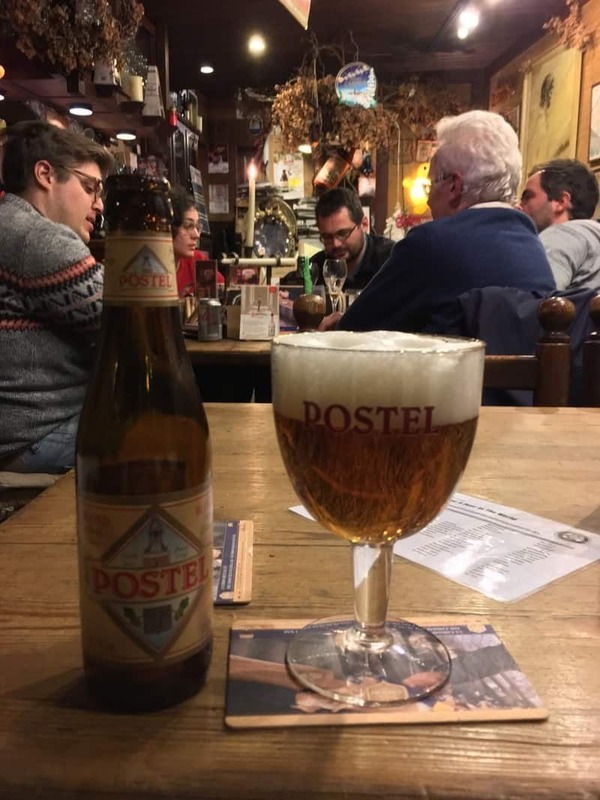 You can’t spend a day visiting Bruges without trying the Brugse Zot the only beer (together with the Straffe Hendrik) that is brewed in the beautiful historic center of Bruges. It is brewed in the Brewery De Halve Maan, which offers you guided tours to let you look behind the scenes of this antique and traditional family business. We tried Brugse Zot in the spacious tavern that is found in the brewery itself. There are two main types of this beer: Brugse Zot Blond is a blond beer with a quite fruity bouquet, whereas Brugse Zot Dubbel is a stronger dark brown beer. In the tavern you can also taste a special paté made with beer. Apart from the great taste, we really like the history of the beer itself. The fool on the beer label represents the people of Bruges, and the story behind dates back to the Middle Ages. Maximilian of Austria who owned this land visited Bruges at the end of the 15th century, and the people revolted against him. As a vengeance he prohibited festivities and fairs, but people were sarcastic enough to organize then a celebration to honor Maximilian himself. When later he was asked to build a new mental hospital, he simply recommended people to close the gates of Bruges, since according to him it was already filled with fool people. Bourgogone des Flandres beer is a speciality from the city of Bruges in Belgium. It’s a West Flemish style red-brown beer that has a delicious sweet-sour combination taste and a 5% alcohol volume. The beer dates back to 1765 where it originated on a farm home brewery. The family recipe was handed down through the generations and was eventually brewed commercially in Brussels. In the1990s the beer production was moved back to it’s home roots in Bruges. Bourgogone des Flandres is made using the traditional Flemish style of blending old and young beer. A fresh Den Bruinen Os brew is made, then mixed with a Lambic beer that has aged in wooden barrels for 12 months. Lambic beer is made using spontaneous fermentation and only in the winter when temperatures are right to allow good bacteria to ferment without all the bad bacterial nasties. The entire fermentation and maturation process takes around two to three years. The best analogy I can think of is it’s a bit like the sourdough bread of beer! 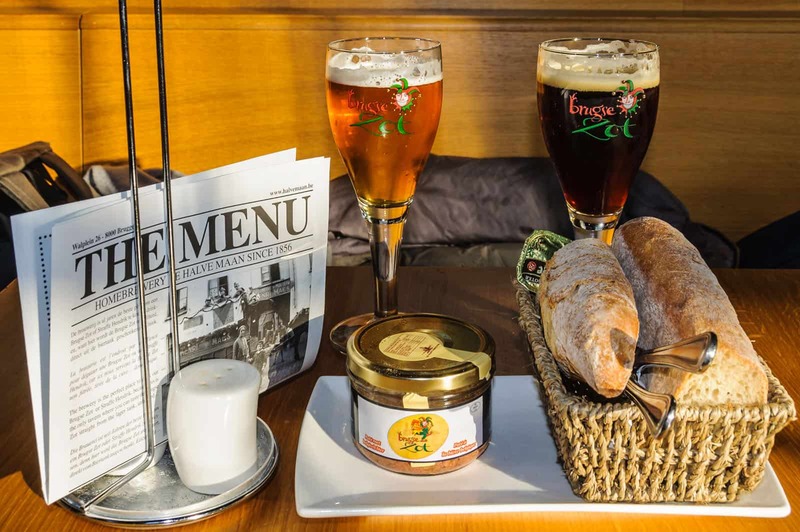 You can visit the Bourgogne des Flandres brewery which is the heart of Bruges, or many of the local pubs and restaurants in the area also sell it. 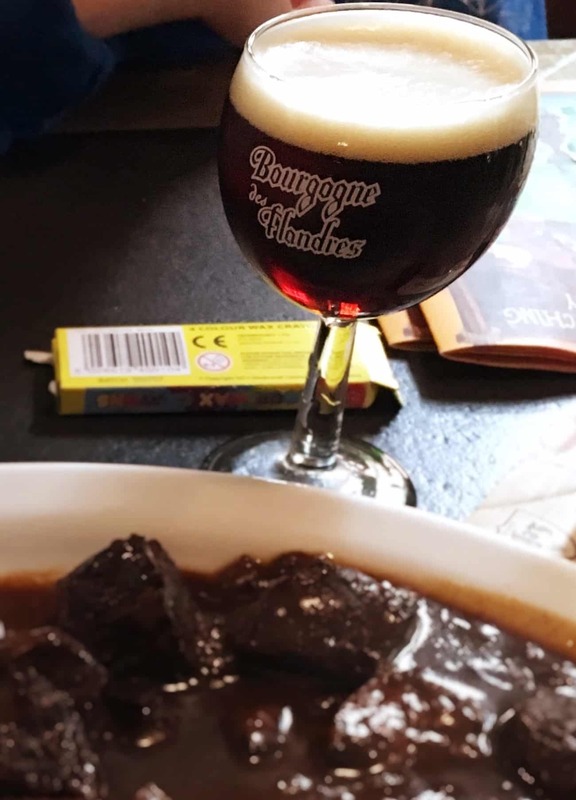 We enjoyed ours with a delicious Carbonnades Flamandes – or Flemish beef and beer stew. Divine and highly recommended. The best beer I’ve had was the Delirium Red Cherry Beer at the world famous Delirium Cafe in Brussels, Belgium. At the time Delirium Tremens was my favorite beer of all time, so of course I had to pay a visit to the Delirium Cafe. 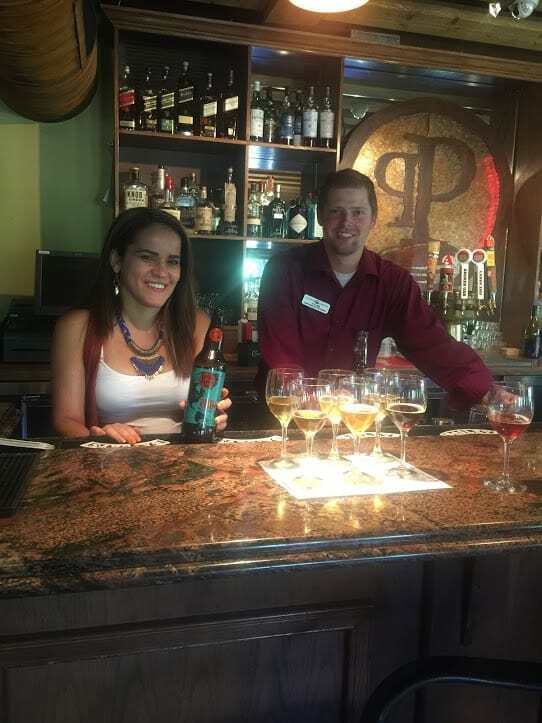 After praising my love for Delirium to the bartender, he changed my life when he insisted I try the Delirium Red. At first, I didn’t want to try it claiming, “I don’t like fruity beer”. Yet he assured me it’s unlike any other fruity beers. Boy was he right! Unlike most fruity beers giving you a sad 3-5% ABV, Delirium Red delivers a generous 8.5% ABV. The Belgians never disappoint when it comes to making a well-rounded brew. The taste is so pleasing – a nice balance of sweet and sour cherries with a kick and pleasing aftertaste. No wonder it has won countless awards from around the world. Needless to say I drank it like water and dubbed it my new favorite beet of all time! The best part about Delirium Red is you don’t have to travel all the way to Brussels to enjoy it. After a few years of searching I discovered it at World Market and a local liquor shop with an international beer section. Depending on where you live you can look around at local retailers. You will not be disappointed. Guinness is Ireland’s most famous beer and I was lucky enough to visit Guinness Storehouse in Dublin. Guinness Storehouse provides an educational experience in itself, as visitors get an insider’s-look into the making of the beer and the history behind it. 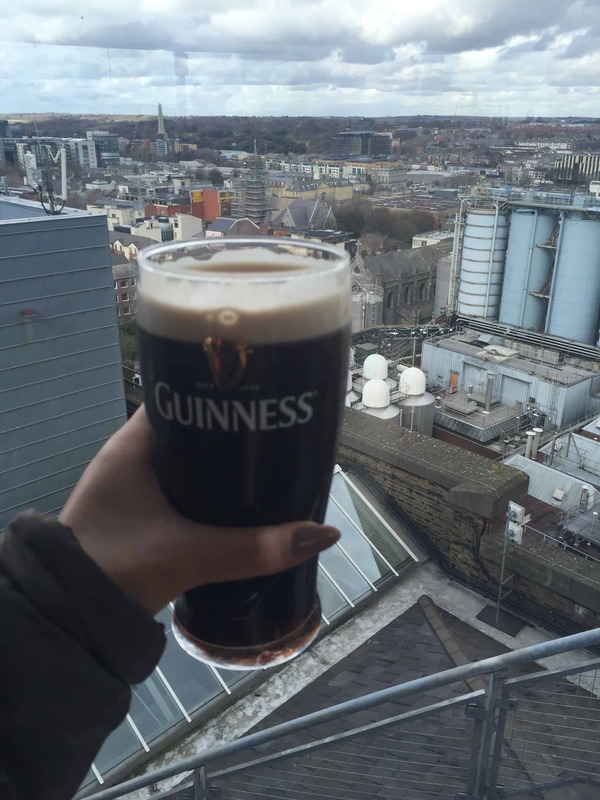 It is one of the most popular tourists attractions in Dublin for many of reason, but my personal favorite thing about Guinness Storehouse was the beer tasting at Gravity bar. Visitors get to taste Ireland’s favorite beer while overlooking the amazing view of Dublin. I don’t know if it was the panorama views or the fact that I had the beer after learning about it, but it definitely tasted better than ever. You can drink Guinness almost all over the world; However, there was something about the atmosphere combined with Dublin’s panoramic view that made it a great experience. I had a really good time and I highly recommend visiting Guinness Storehouse when in Dublin. 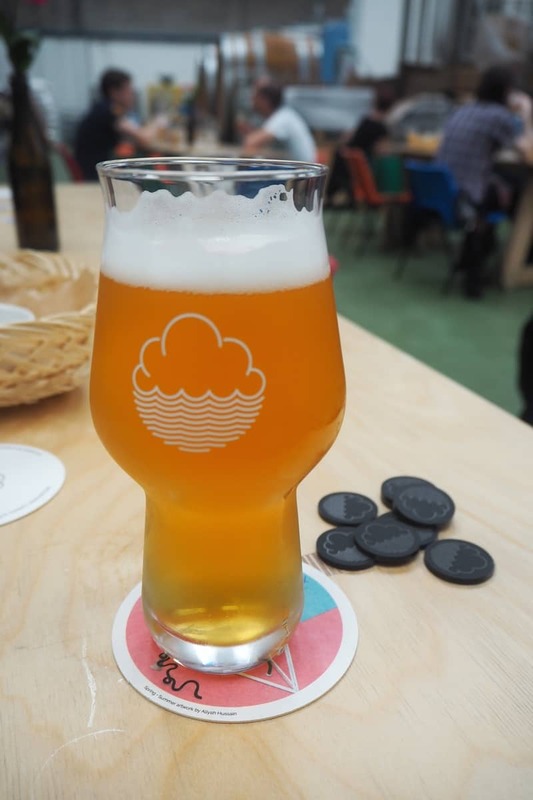 Cloudwater makes heavily hopped, seasonal beers. They are all vegan and Cloudwater doesn’t use any nasty chemicals in its brewing process at all. You can taste how pure and clean the beer is on the first sip. The style I like the best is their famous DIPA (double IPA). It’s a strong 8-10% beer and packs a serious hoppy punch. It usually sells out in cans before they’ve even finished making it, such is the popularity among craft beer enthusiasts across the country. The very best I’ve tasted of all their DIPAs was DIPAv13, but there are always new ones coming out. I’m willing to taste them all just to check if it can be beaten. As well the beer being amazing, the artwork on their cans is always beautiful. I particularly like their logo, which is a cute cloud with waves under it (cloud-water). This is very fitting for a beer born in notoriously rainy Manchester! I’m very lucky to live just a few miles away from one of my favourite drinking holes in the world. 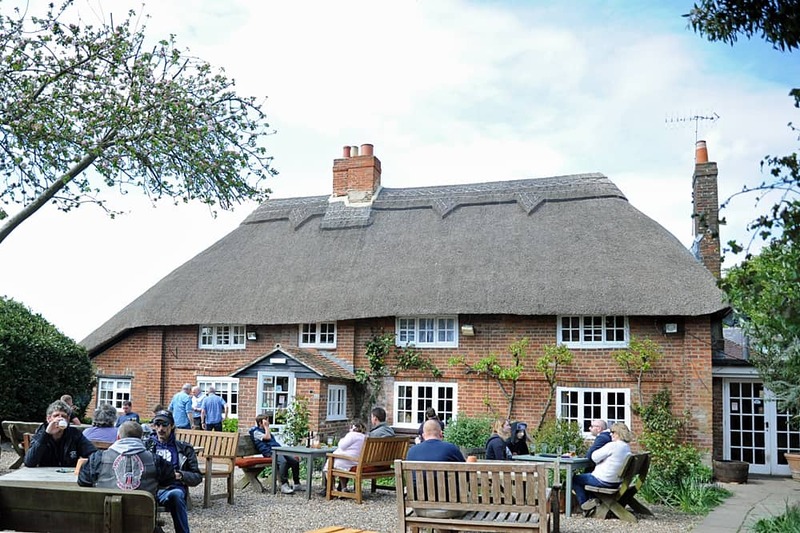 The Gribble Inn and Brewery are housed in a converted thatched cottage and an adjacent barn in the beautiful Sussex countryside, in the village of Oving in the south of England. On first sight, you’d think it was a very long established pub but it actually only dates back to 1986 when one of the villagers bought the home of the village school teacher, Rose Gribble, and converted it into a pub (which the village, he felt, had be sorely lacking). The barn next door is a fabulous microbrewery producing some excellent craft beers including ‘Fuzzy Duck’ and ‘Plucking Pheasant’ and my personal favourite ‘Wobbler’. As you may have guessed, the latter is rather strong at 7.2% alcochol! It’s also used in the best dessert I have ever tasted, served in the inn’s restaurant ‘Beeramisu’. Once we drank our first Põhjala beer at Must Puudel, we knew that the craft beer scene in Tallin, Estonia was for real. This Baltic Imperial Porter was everything we love in a beer with its rich complexity and chocolate taste profile. The Estonian brewery describes Öö, their flagship beer, as “dark as the Estonian winter nights”, an apt description for this deeply flavorful beer that we could happily drink all night long. 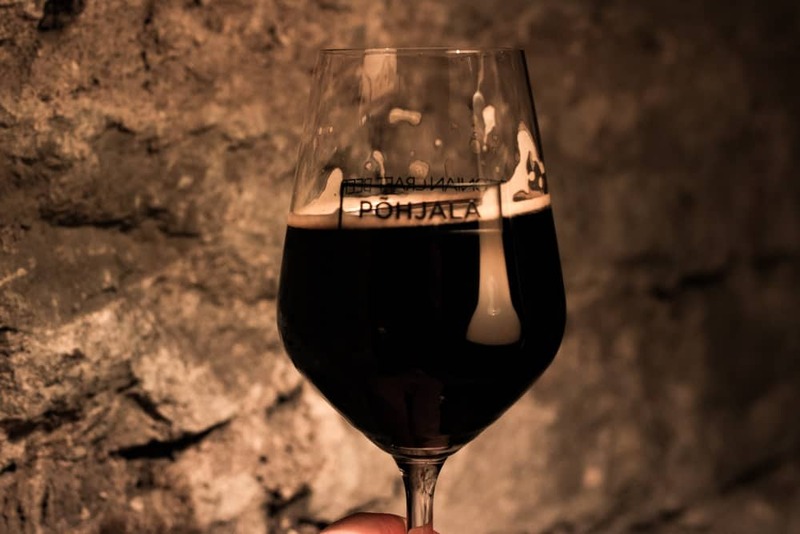 We liked the beer so much that we made a special trip to the brewery where we met head brewer Chris Pilkington and became even bigger fans of Põhjala and its fantastic beer. Though we drank other beers in Tallinn, Põhjala was our favorite. We plan to return to Tallinn for many reasons, and drinking Põhjala beer is at the top of the list. 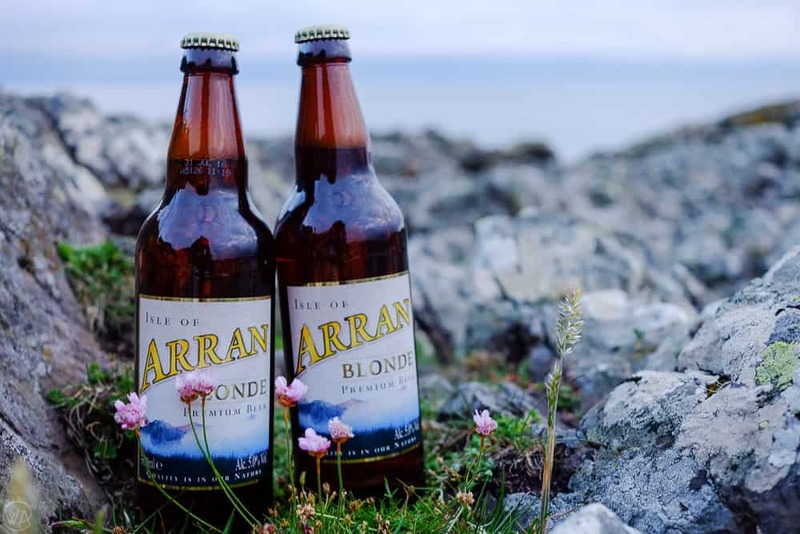 Coming from one of the most picturesque locations, the Premium Beer from Isle of Arran has a refreshing, zesty taste. The small traditional brewery creates craft beers on the island, which lies just off the west coast of Scotland. 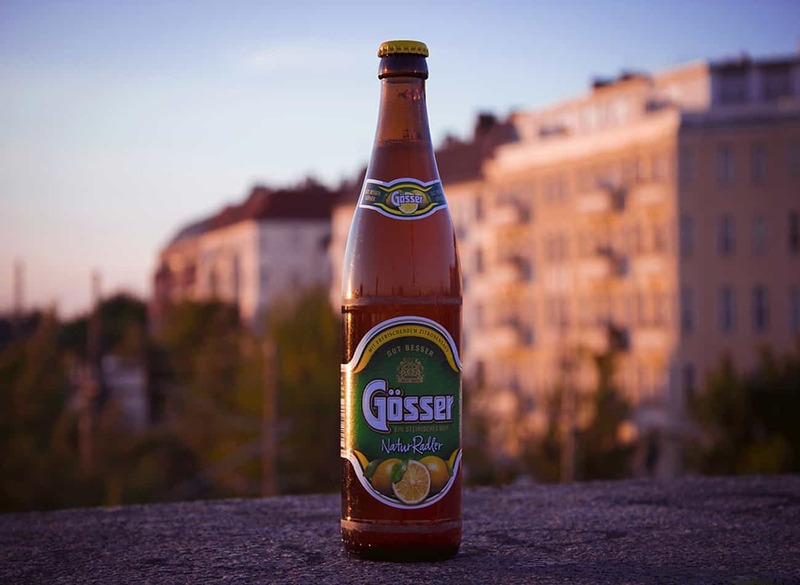 Combining the traditional brewing methods with crystal clear water contributes to the unique and refreshing taste of the beer with the delicate floral aroma. It has a sweet finish, with a hint of golden syrup and taste of citrus hops, smoothed out by the creamy appearance. The first time when I tried the Isle of Arran beer was on my cycling trip to the Isle of Bute – another nearby Scottish island. We bought it from the local shop and sipped it while staring into the evening fire on our wild campsite. From our tent, we could see the Isle of Arran in the distance, so it was a great way of cheering to the place where the beer was created. I loved the fresh taste of the Isle of Arran Blonde and especially after the long day cycling, it tasted the best in the world. The beautiful unspoiled nature around me and the fact that the beer was produced on the small island that I could see on the horizon, added to the experience. 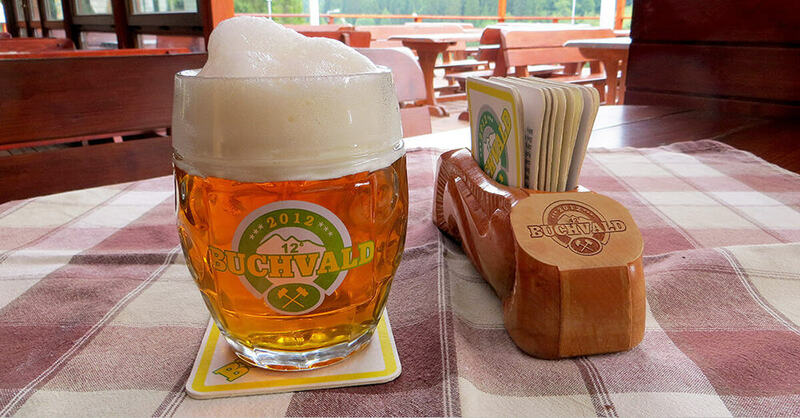 Buchvald Lager is the best 12° lager in Slovakia. * The only place in the world where you can drink it is at a restaurant adjacent to the brewery at a recreation resort in Poráč Valley. Nicknamed the Valley of Dreams, the Poráč Valley sits in a remote part of Slovakia, about 1.5 hours northwest from the regional capital Košice. The one paved road leading here literally ends in Poráč, the village overlooking the valley. My paternal grandparents came from the village, and my family would visit the valley for daytrips when I was little. In 2013 when I last visited, Buchvald was the youngest brewery in Slovakia; the “twelver” remains its only brew. Lagered for 12 weeks, the beer is refreshing, with just the right amount of bite and strength. It’s so crisp and clean my father’s cousin claims it’s the only beer that doesn’t give her headaches. Enjoyed on the restaurant terrace overlooking deep woods where wolves roam, to the sound of a pair of bleating sheep, Buchvald Lager is the definition of the rural Slovak summer. * Degrees Plato indicate beer gravity; the higher the degree, the more alcohol-content and the stronger the beer. Thanks to: Peter Korchnak, Where Is Your Toothbrush? As a bit of a craft beer connoisseur, I generally love trying local beer but my pick for best beer I’ve ever had in the world is a Swedish beer which I first tried in Spain! 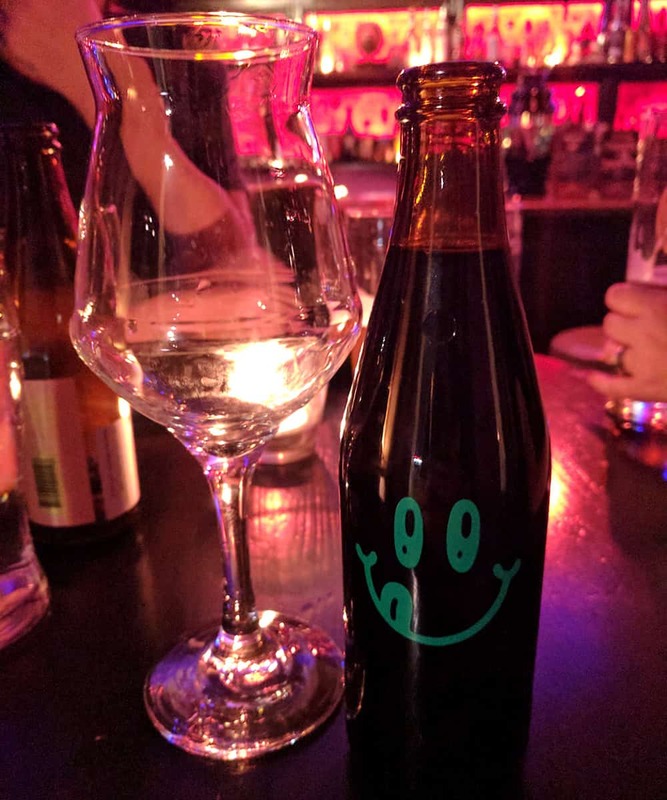 It’s called Noa Pecan Mud Cake Stout and it’s by Omnipollo, who are well known for their quirky concoctions and particularly their fantastic Imperial Stouts. The first time I tried it was in BierCab, a wonderful craft beer bar in Barcelona with a great range and excellent tapas. 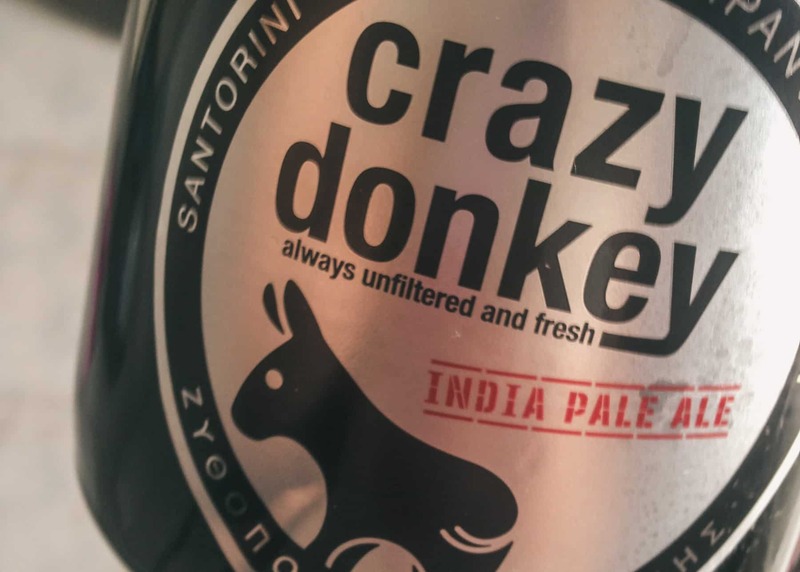 With a delectable aromas, a massive mouthfeel and huge flavours – including a taste reminiscent of chocolate cake – it’s a beer that you don’t forget in a hurry. In fact, I enjoyed it so much that I had it three times over two visits in BierCab – and now I always keep an eye out for bottles of it. I’ve got two currently aging at home; who says you can have too much of a good thing! I have a confession to make. I’m not a big fan of beer. Having said that, I still drink it from time to time, especially when there’s something unique to try. Standing out at the forefront of my memory as the best (and possibly most unusual) beer I’ve ever had was at Skeppsgossen in Karlskrona, Sweden. This restaurant is located next to the maritime museum, although it had a pop-up restaurant at the old water tower at the city square. Joakim Bengtsson, the restaurant owner, is quite the entrepreneur. He didn’t like the coffee or gelato he was being delivered, so went to Italy to create his own, both of which went on to win awards. He didn’t stop there. His next venture was to brew his own line of truffle beers. Unfortunately, it’s a little hard to describe the flavor of beer mixed with truffle oil. Unique, rich, just a little spicy and with quite the kick. There are three types to choose from. Whether you pair it with his Italian pizza, boiled lobster or starter platter, it’s a great complement to your meal in Karlskrona. 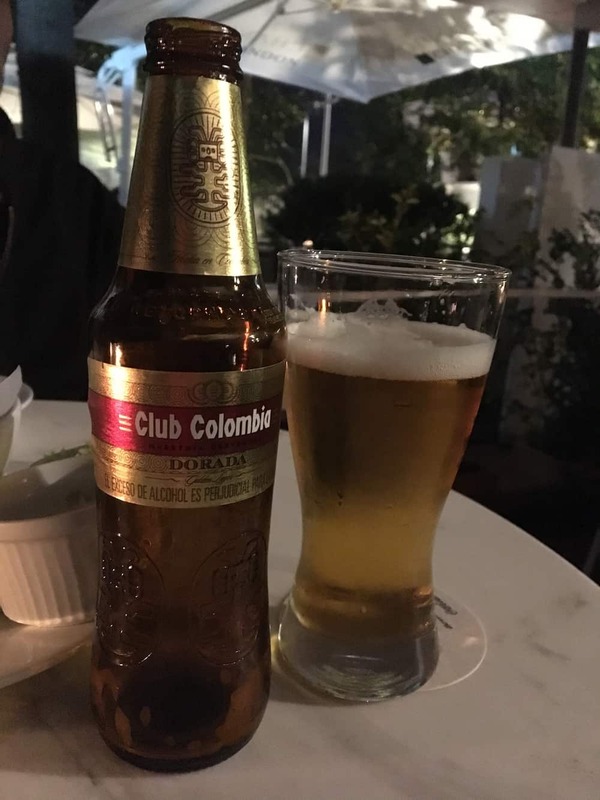 One of the best beers we tried recently is Club Colombia in Bogota. It’s a refreshing beer, full of flavour and compliments the Colombian heat nicely. Bogota has the largest collection of gold in the world in its museum and we discovered this beer here. One of the most common indigenous symbols of the country is the jaguar sign, so there are many gold pieces in this shape. It’s also the symbol used for the Club Colombia beer logo. The beer comes in 3 separate flavours – Roja (red), Negra (black) and the third, our favourite, the Dorada (golden). The Dorada is the premium of the three because it is brewed with better quality grains and it tastes good! We tried the Club Colombia beers at the “Casa” restaurant during our weekend trip to Bogota to check out Theatron – the largest gay club in Latin America. My vote for the best beer in the world is a Windward IPA from the West Indies Brewing Co. in Grenada, Caribbean. Brewed by skilled brewmaster Mark Heath who has a history of beer brewing from his family business in the UK, this Indian Pale Ale is a slightly fruity, golden ale that’s especially refreshing on a warm island day. You can get a growler to go, join the crowd in The Brewery beer garden or order a sampler which may also include a tasting of their Old Mongoose Porter and Drunken Goat, a Belgian wheat beer. In the lap of Himalayan terrain, lies the quaint state of Sikkim. One of the best offering from the state is Dansberg Beer of Yuksom brewery. It is run by Danny Denzongpa, the famous actor. Remember the regent from 7 years in Tibet? He is the one. Dansberg, the premium lager beer, is quintessentially the best I have tasted from Indian subcontinent, as well as South East Asia. They serve it at the old school airport cafe at Bagdogra airport, West Bengal with sumptuous fish cutlets. I was traveling with a group of friends to the hill city of Darjeeling (yes, the tea town)! You will find the lager beer in abundance in Indian north east region as well. Crisp and light is what I will describe the beer as. The sultry clear appearance, smooth feel in mouth, a fine taste, I can imagine my soul resting in the shelter of mighty Kanchajengha with a Dansberg lager in hand. Blissful life of a beer lover! 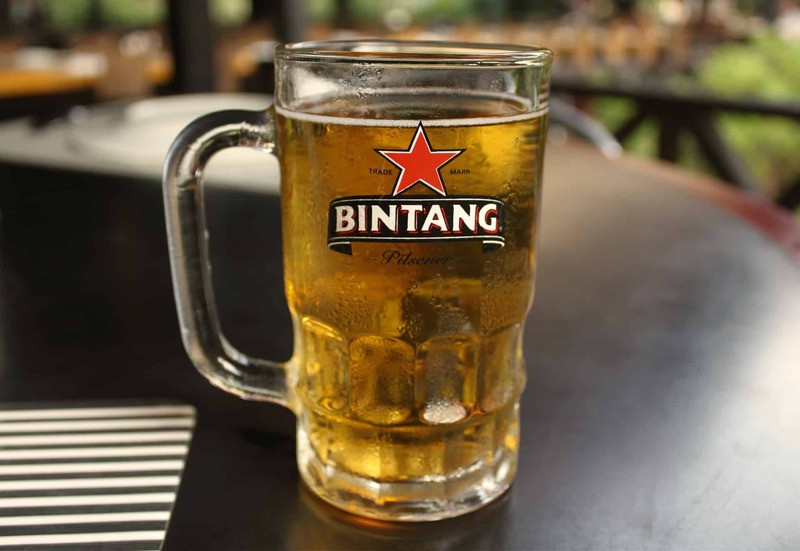 If you have ever been to Bali you would have heard of Indonesia’s national beer: Bintang. If you have been to Kuta in Bali, you would have seen the Bintang logo on the street. In fact, if you walk down Poppies Lane you would see it on the singlet of every pasty white dude from Australia! Bali is only a short 3.5-hour flight from our hometown of Perth, Australia. When we go to Bali we try to avoid the “singlet-wearing-Australians” so we avoid Kuta like the plague. We try to immerse ourselves in the culture and see the beautiful place that is Bali! The singlet wearing Australians should not detract from how great Bintang beer is! The taste is great but my husband reports the Bintang is one of the best beers in the world for many more reasons. Firstly, location! Shoes are optional as most restaurants are on the beach. Secondly, the weather. Bali is hot and very humid, there is nothing more refreshing than an ice cold Bintang beer. Thirdly, cost. You can get a 620ML bottle for a few dollars. The final reason he loves Bintang in Bali is alcohol safety and your health! Bintang doesn’t contain the preservatives that can lead to woozy boozy belly. Unlike local spirits (arak) that are often watered down, you can drink it, safe in the knowledge you won’t be killed from ethanol poisoning. I was in Tokyo, in a typical Japanese hidden bar, when I received an out of ordinary Japanese drink. They call it Hoppy. Hoppy is a retro drink, unlike anything I’ve ever tried. Although this is beer, surprisingly Hoppy is almost entirely non-alcoholic. To make it worthy of having a good time with, the Japanese add a spirit to it, which combined with Hoppy, it created a rather foamy delicious drink, which is very similar to the look of a pint of beer. The result? Imagine having a beer with a rather sweetish taste. The resulting beverage has only 5% alcohol in it. 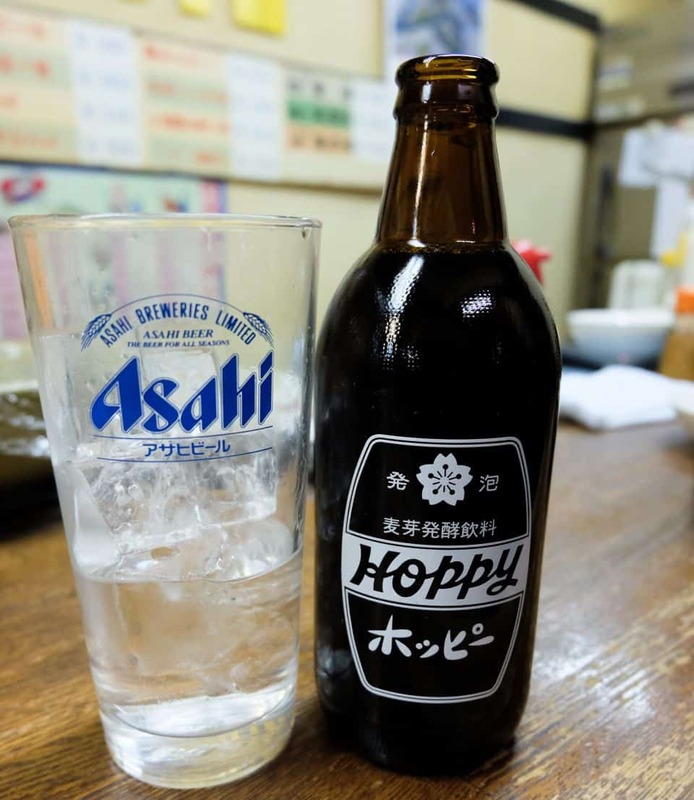 Hoppy is associated with Tokyo and it has a rather cool, vintage vibe to it. Something really out of ordinary. Is Beer Lao the ultimate beer of South east Asia? We certainly think so! The official beer of Laos, this epic lager beer is synonymous with the whole country, and one of the countries one and only exports.. so proudly worn on thousands of backpacker t-shirts since the dawn of time! (mine’s in the bottom of my draw) It’s brewed in Laos with hand-picked indigenous rice varieties – It’s crisp, refreshing, a respectable 5%. Ideally enjoyed overlooking the Mekong River at sunset! Thanks to: Stu & Eloise, Am I Nearly There Yet? 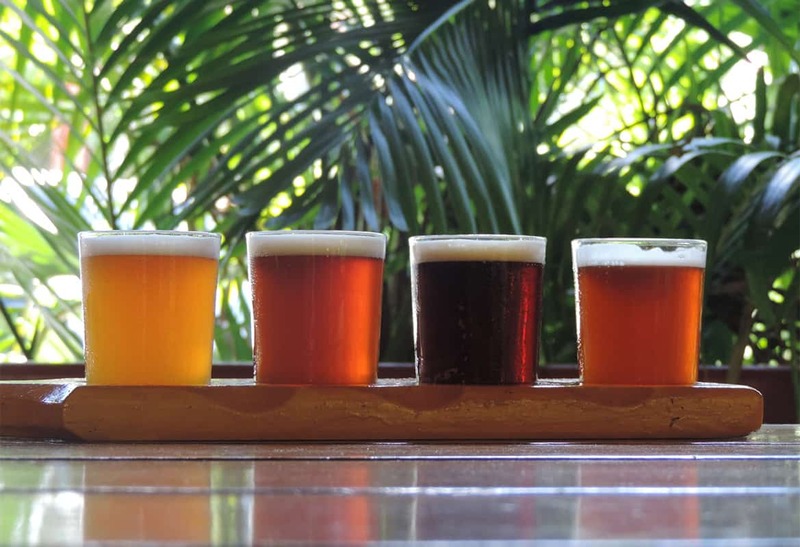 Did you know that there is an amazing craft beer scene in Mexico? Who knew! 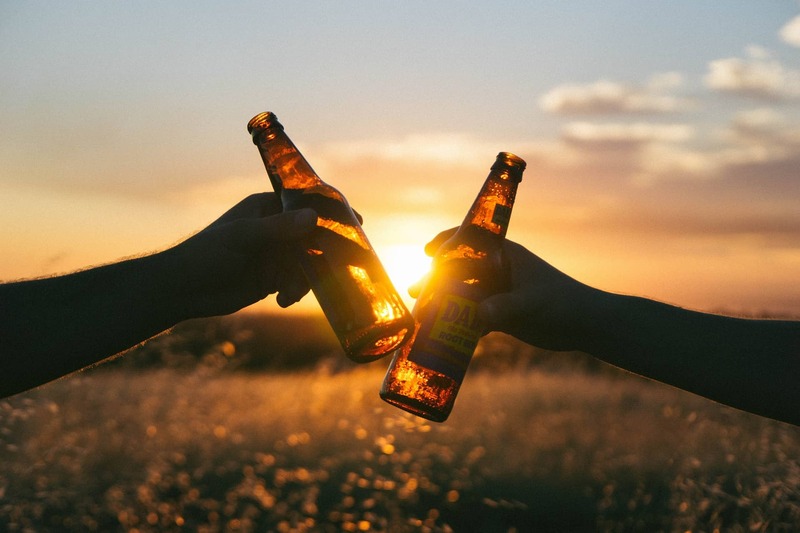 You’ve probably heard of Corona, Sol and Dos Equis – the “nationals” but here in Mexico there is a growing craft beer scene as well…and the beer is good! There are quite a few really good local breweries to choose from in our current hometown of Merida in the Yucatan region of Mexico, but our all time favourite is hands down the IPA by Patitio. Patito means little duck or duckling and their IPA (pronounced eepa here) offers a robust hops flavour while still pleasing the palate with fruity tones such as mango, peach & pineapple. It’s a great full tasting beer to enjoy on a hot day with your toes in the sand at the beach! But be warned it packs a punch at 7% ABV, this duckling has got some power! 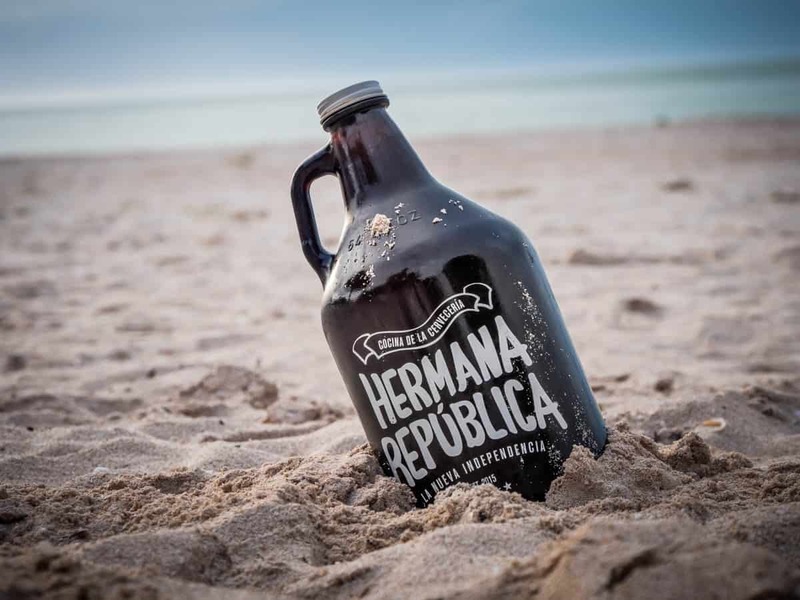 If a funky gastro bar is more your scene head to Hermana Republica in downtown Merida to taste Patito’s full cerveza selection on tap, and sit back and enjoy the atmosphere. 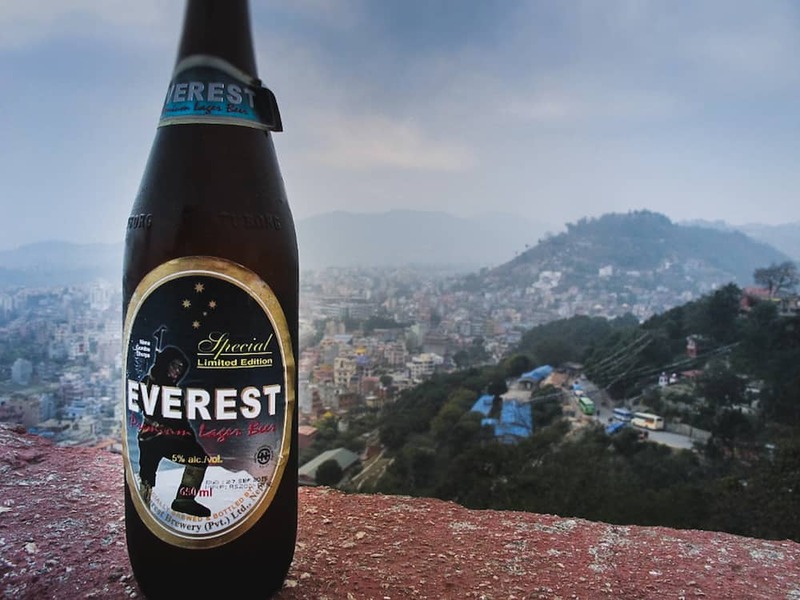 I have had some amazing beers all over the world, but nothing is perhaps as memorable as this Everest beer in Kathmandu. While it may not have been the tastiest, it came at the perfect time for me. I had been in India for a wedding prior to Nepal, gotten violently ill from the pollution, and flew up to Kathmandu for a few days just to get away from it all. Once I arrived there, I immediately felt better and like myself again. 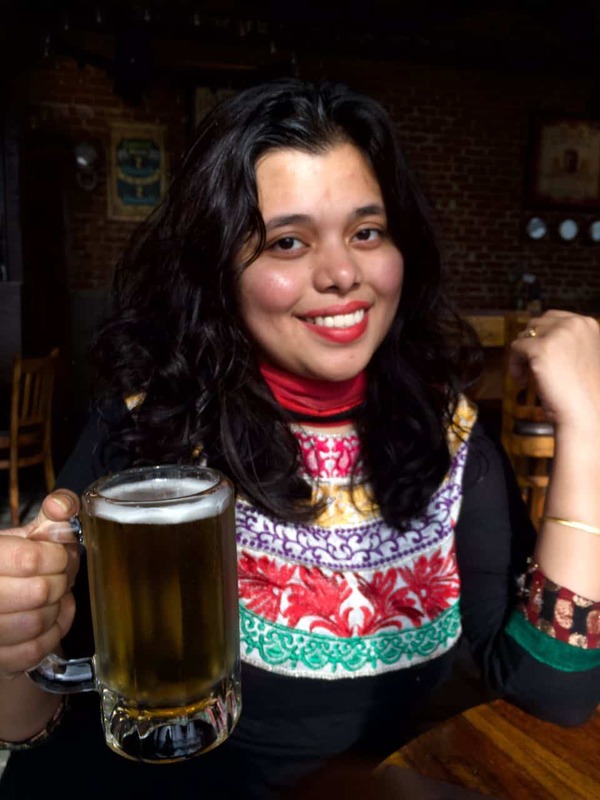 I enjoyed this beer spontaneously at Swayambhunath Temple (Monkey Temple) at the Nirvana Café alongside my partner and we just basked in the glory that we were in a country I had never dreamed of visiting. He and I still talk about this moment today. Unfortunately, this area of Kathmandu sustained a lot of damage from the earthquake that hit two months after we left, but websites tell me that Nirvana Café is still up and running… and offering Everest Beer overlooking one of the most humbling and spectacular places in the world. Castle Lager is a popular South African Beer that was first brewed by a man called Charles Glass in 1895 in the city of Johannesburg. Castle Lager is manufactured by SAB (South African Breweries) which also offers a brewery tour in Johannesburg exploring the rich history of beer and explaining the role it has played in the country and how it is made. This beer was a premier sponsor of our national soccer team Bafana Bafana, it was the principal sponsor of the Protea’s our national cricket team and is the associate sponsor of our famous Springbok rugby team. 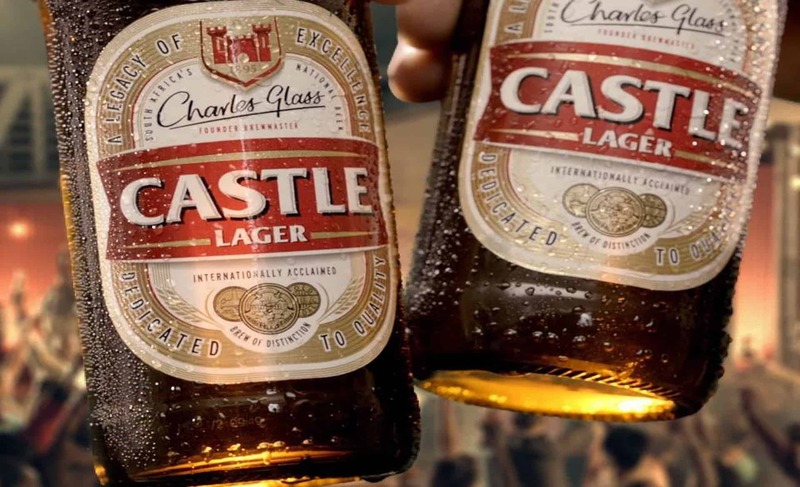 Castle is brewed in nine countries and regularly enjoyed in more than 40 countries worldwide. This beer is also associated with a favourite South African get together called a braai (South African BBQ) so if you ever visit South Africa make sure a cold Castle and a braai is on your bucket list. Literally translated as ‘fresh beer’, bia hoi is Vietnamese draft beer that as its name indicates, it is freshly brewed every day. It is an extremely refreshing lager, which is very welcome at the end of a humid day. It is cloudy, light in colour, and it contains no chemicals or preservatives, so it must be consumed on the day or it goes off. But local bia hoi bars in Hanoi have no problem selling it off, particularly in Beer Corner (or Junction, as it’s sometimes referred to). 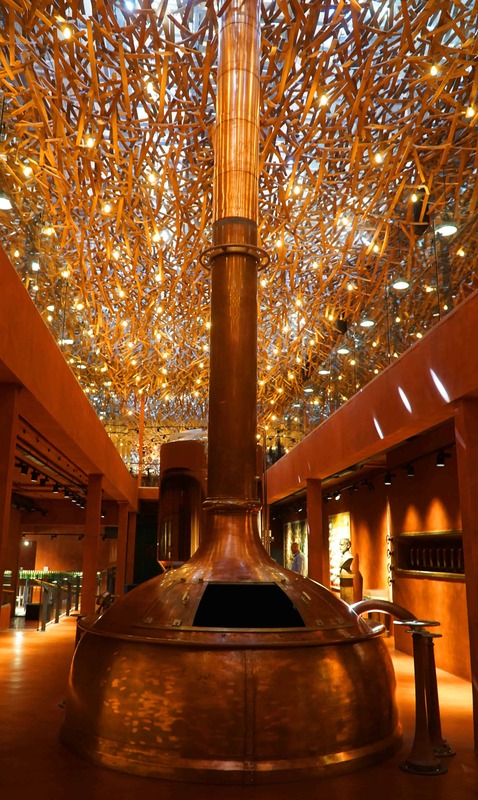 This is the best place to try this delicious amber nectar. Not only does it taste great, but it costs 5,000 VND (£0.17) for a glass or 10,000 VND (£0.33) for three glasses. Crazy, right? 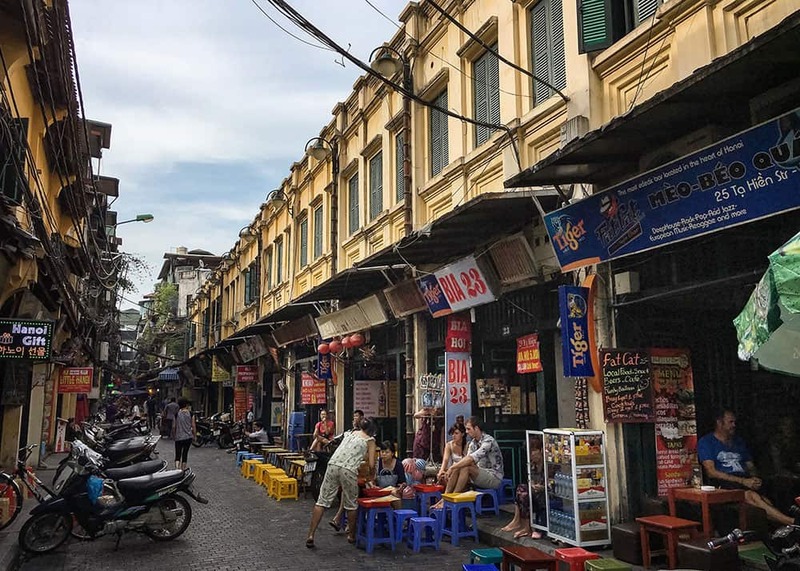 And on top of that, Beer Corner has the best atmosphere in Hanoi, with bars and restaurants spilling out into the street with their colourful tiny plastic chairs and tables. The bia hoi experience gives you a real taste of Vietnamese nightlife! 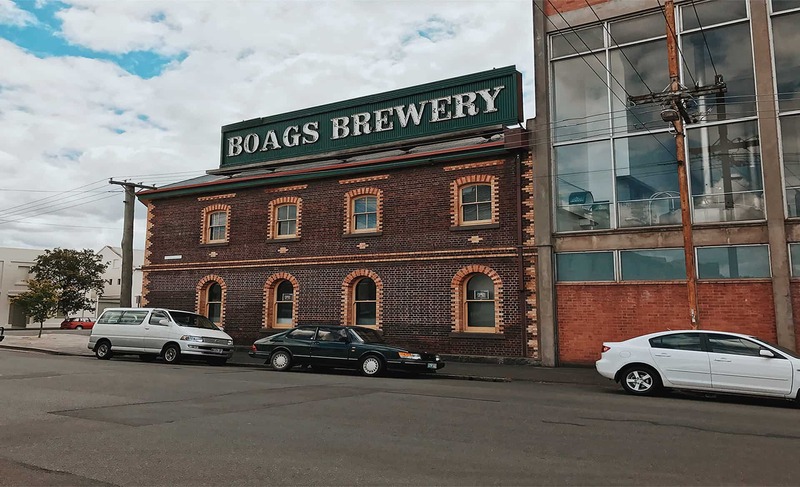 The Boags Brewery in Launceston should be a pit stop on any adventure in Tasmania, Australia. Founded in 1883, Boags had been in continuous production ever since, distributing their beer across the country. One of the exciting things about Boags Brewery is the daily tour which you can book into in advance. 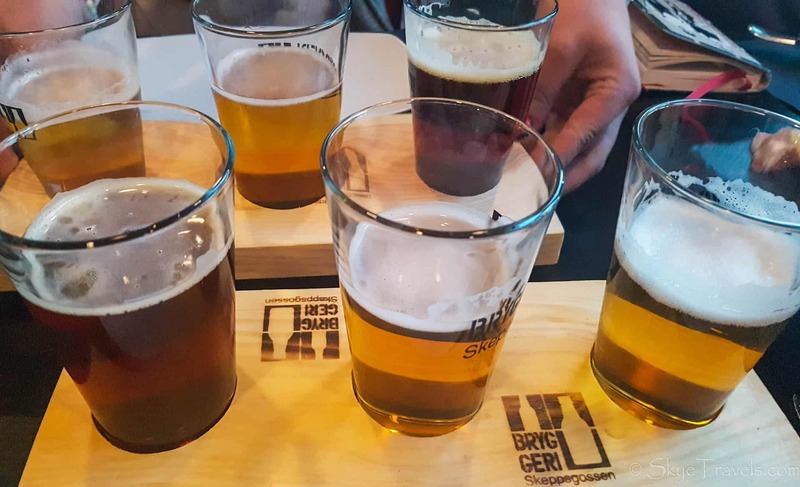 Starting at the Boag’s Centre for Beer Lovers, the tour will take you through each stage of the brewing process as you explore the site with your guide. The Boags Brewery factory tour concludes with a beer tasting back at the Boag’s Centre for Beer Lovers. Of course, of exploring with kids under 18 years old, they enjoy a selection of non-alcoholic juices to sample. If you are interested in the history of Australian beer, or just like the thought of looking through a Brewery and witnessing each step the team take to create the perfect beer, this tour is for you. It’s available 7 days a week at the Launceston site with a prior booking. Where: James Boag’s Brewery Tour, 39 William St, Launceston. 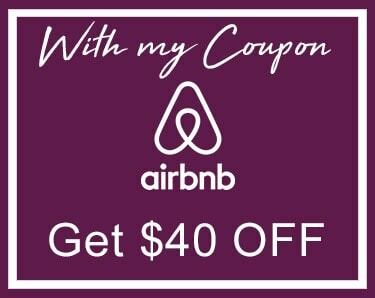 Cost: $33.00 per adult $15.00 per child. This beer is made with polish cherries and it has a sweet and sour taste. It’s not too fruity, which is good because I personally love a more dry or semi sweet taste in general. I had this beer for the first time while staying at Gateway Canyons Resort in Colorado. I did a beer tasting there and this was my favorite by far. It has a unique, but delicious flavor. In other words, the cherry gives it a sour flash across the palate that rolls gently into a slightly sweet finish. I found this beer to be light and refreshing. It’s the perfect beer for hot days. I have been drinking it frequently over the summer. It’s a lemon beer and I had it for first time in Linz, Austria at a beer garden. It was so good and accompanies my favorite food order: sausage filled with cheese and wrapped with bacon. I highly recommended it, especially if you love citrusy flavors. If you love the taste of strawberries, then you are going to love Fruli. It’s the sweetest of the three but still very delicious. I found this beer at a small Beer Garden in Harlem, NYC and it’s perfect when combined with something savory to eat. 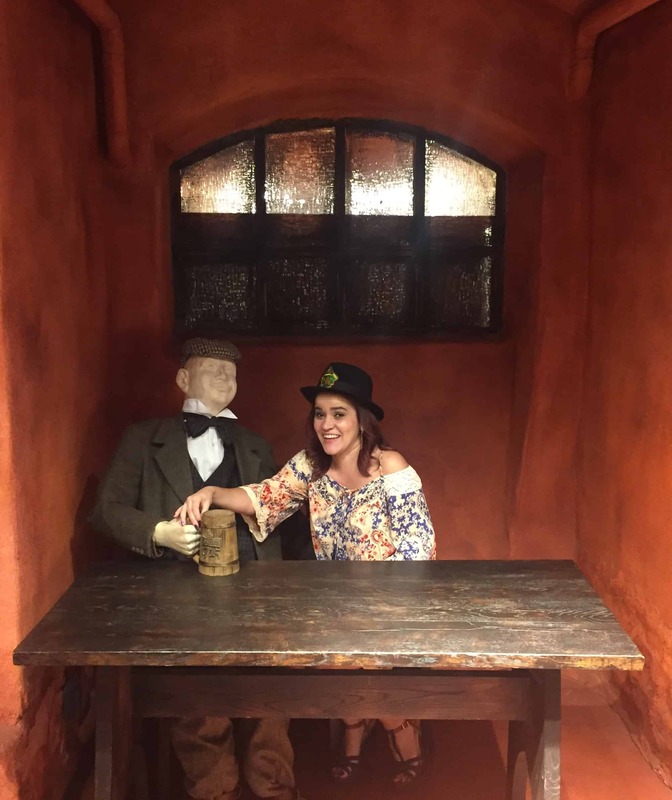 On a different note, when it come to experiences, I had an amazing time recently attending a beer tasting at the beer museum and brewery in Lviv, Ukraine. It was part of a tour with Cobblestone Freeway Tours and I loved learning about the history and culture of beer. Afterwards, you can do a beer tasting and order some flights. We selected a variety of options from lighter to darker. It was definitely a blast. If you ever visit Ukraine, this museum is not to be missed. 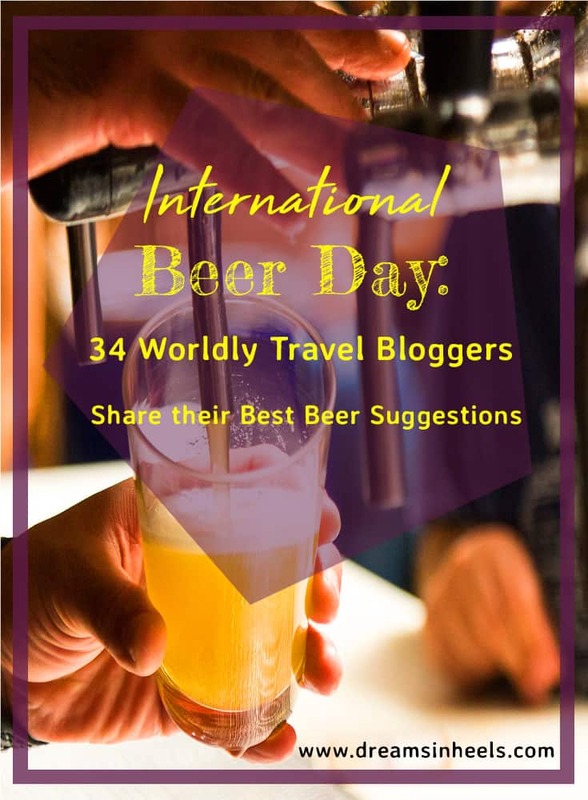 I hope that you enjoyed learning about the best beers from around the world, as selected by 34 travel bloggers! 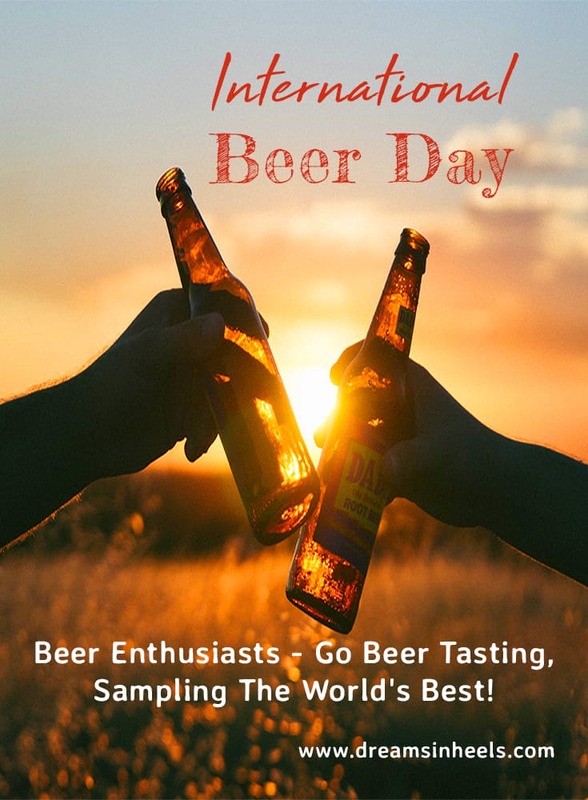 So, raise your glass in honor of International Beer Day! Cheers and enjoy! Share your comments below: Which is your favorite beer and why; where is it from? Pins Made With Love Just For You. Join The Pinterest Revolution! 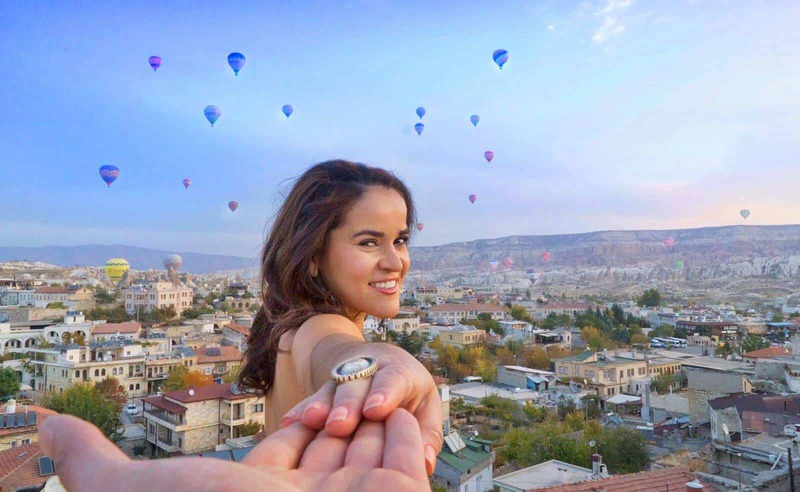 Follow This Bilingual Travel Community For Latina Travelers & Honorary Latinas – Join the Movement! I’m not a beer connoisseur but my husband and I toured Turks Head brewery on our honeymoon in Turks and Caicos. Although we arrived on a day that the tours had been cancelled, the owner took pity on us and offered us a private tour. We brought some back and shared it with friends. Really enjoyed the entire experience! Thanks for the amazing article! It is lovely to hear about your experience. I am glad that you enjoyed this article. 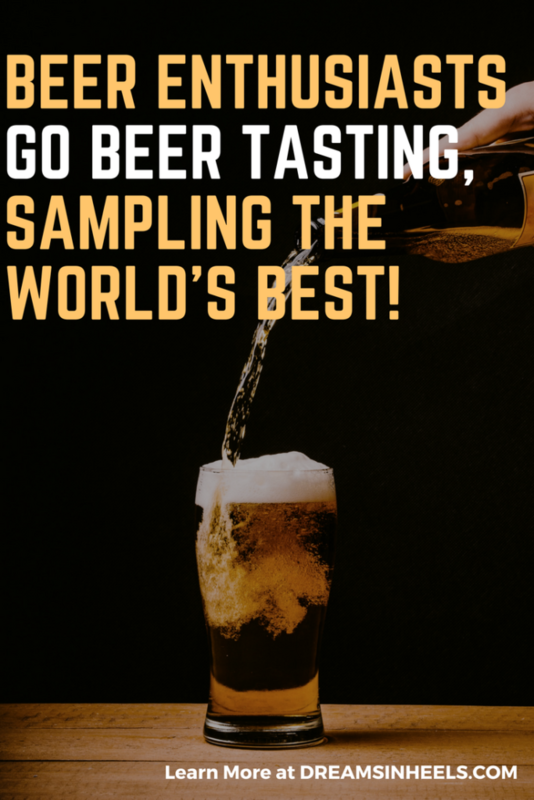 A fantastic resource for beer fans who want to explore the world’s best beers! Im not a huge beer drinker, i like lighter beer, but what a cool list! Great photos too! I love sampling flights! The Colorado polish cherry looks amazing!